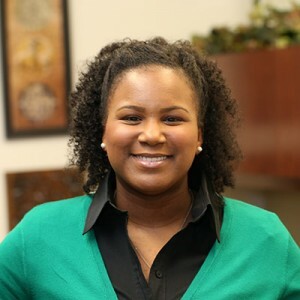 Lakia M. Scott, Ph.D., is an Assistant Professor in the Department of Curriculum & Instruction at Baylor University. She currently teaches elementary reading methods and diversity issues courses to pre-service teachers. Scott has over ten years of combined experiences at the elementary, secondary, undergraduate and graduate teaching levels. She is a recognized scholar in the field of Urban Education, where she has a host of research publications, co-authored and co-edited books, book chapters, and educational evaluation reports. Under the research trajectory of providing educational access and opportunity for traditionally minoritized student populations, Dr. Scott has co-edited “Culturally Affirming Literacy Practices for Urban Elementary Students,” a textbook about literacy gaps, intended for use by pre-service and in-service teachers. She has also published in numerous journals including Urban Education Research & Policy Annuals, Journal for Multicultural Education, Social Education, and the International Journal of Interdisciplinary Social Sciences. Dr. Scott is currently conducting research on national reading and language intervention programs for urban students with specific focus on the Urban Dialect. Her current research interests include creating urban literacy initiatives to advance student academic outcomes, increasing multicultural awareness and perspectives in teacher education programs, and extending the discussion on the academic and cultural relevance of Historically Black Colleges and Universities. Dr. Lakia M. Scott, published “Bodies are not commodities”: Examining the impact and influences of a social justice curriculum on anti-human trafficking awareness and advocacy in Journal for Human Trafficking, p. 1-18, 2017, with co-author(s) Dr. Christina Crenshaw, Baylor University, and Elena Venegas, The University of Texas Rio Grande Valley. Dr. Suzanne Nesmith, published “This is more about a book than about science!” Preservice teachers’ perceptions toward using literacy strategies in inquiry-based science lessons in Electronic Journal of Science Education, Vol. 21, Issue 5, p. 1-13, 2017, with co-author(s) Evan Ditmore, doctoral student, Baylor University, Dr. Lakia M. Scott, Baylor University, and Toby Zhu, doctoral student, Baylor University. Dr. Lakia M. Scott, published Rap Music Literacy: Millennial Audience Reception to Lyrics Depicting Independent Women in Journal of Media Literacy Education, Vol. 7, Issue 3, p. 54-72, 2016, with co-author(s) Dr. Mia Moody-Ramirez. Dr. Lakia M. Scott, received Best Paper in Session Award from 2012 Orlando International Academic Conference, 2012. Dr. Lakia M. Scott, received Faculty Research Fellow, Institute for Oral History from Baylor University, 2015. Dr. Lakia M. Scott, received Top Faculty Paper, Entertainment Studies Division from Association for Education in Journalism and Mass Communication, 2015. Dr. Lakia M. Scott, received Armstrong Browning Library Teaching Fellow from Baylor University, 2016. Dr. Lakia M. Scott; $4,385.00; Voices from the Field: Success Stories from Urban Elementary Literacy Educators in Greater Waco Public Schools. Dr. Lakia M. Scott; $1,500.00; University Teaching Development Grant for Exploration in Costa Rica. Dr. Lakia M. Scott; $7,500.00; Examining the Use of Graphic Organizers for Young Readers in Ghana; Baylor University Missions.